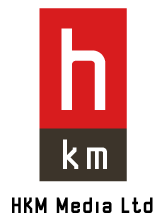 HKM began publishing in Dublin in late 2004 with their flagship publication Totally Dublin. In October 2014, Totally Dublin celebrated its 120th issue and its tenth birthday, and continues to go from strength to strength. Totally Dublin each month provides a go-to guide for what's happening in every nook and cranny of the city.